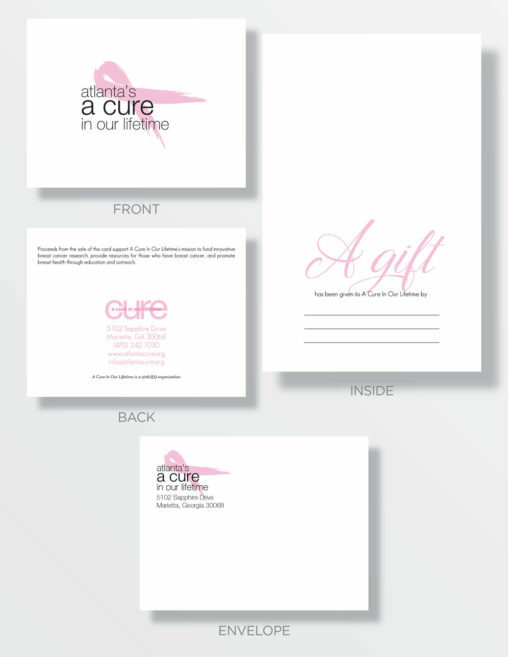 Instead of giving a traditional gift and Hallmark card, why not give a Cure Card? It’s a perfect way to honor a friend’s birthday, acknowledge a milestone for a family member or even to honor someone special in your life while helping find a Cure for breast cancer. Cure Cards are a thoughtful and caring gift for any occasion. It’s so simple. You purchase the amount that works for you. We’ll send you the blank envelopes and cards. Then, you can complete and mail (or hand deliver) Cure Cards at your convenience. Keep them with you and you’ll never be empty handed again. 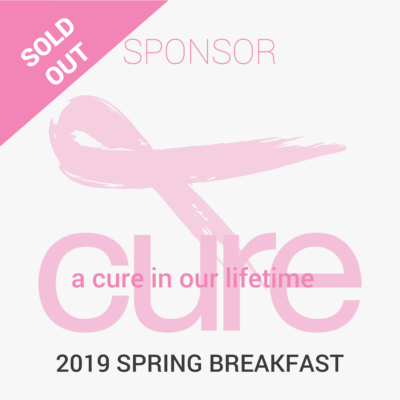 Support Atlanta’s CURE in Our Lifetime by ordering our tribute cards. Select the level of support that works best for you. ©2015-2019 A Cure In Our Lifetime - Atlanta. Site design by K-Leigh Creative.